A team of academics from the University of Southampton is set to take on the rest of the English Fantasy Football League when the new Barclays Premier League season kicks off next month. Dr Sarvapali Ramchurn, Lecturer in Computer Science; PhD student Tim Matthews; and George Chalkiadakis, visiting researcher at the University of Southampton, have developed an artificial soccer manager that in tests has ranked, on average, in the top one per cent of the 2.5 million players in the official English Fantasy Football League, run by the Barclays Premier League. The Artificial Intelligence (AI) software uses an extensive series of algorithms to analyse players’ performances and statistics before picking its football team each week. It goes into much more depth than any dedicated fantasy football player and so far its performance has been shown to be a runaway success. 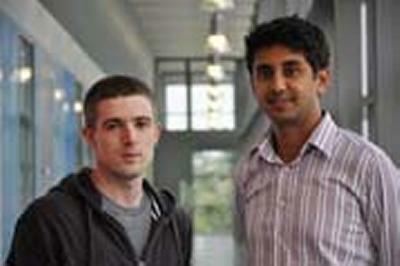 The team, based in Electronics and Computer Science at the University of Southampton, developed the software as part of Tim’s dissertation for his Master of Artificial Intelligence degree in 2011. A paper based on Tim’s work was subsequently accepted to be presented at a major Artificial Intelligence conference (AAAI, 2012) in Toronto later this month. The team have already tested their software by running a controlled experiment seeing how it would have performed in last year’s Premier League Fantasy Football League and at one point it managed to finish in the top 500 players. But this year they are planning to enter it for real to see how it fares against its human competitors, but also in collaboration with human players. Until now the team have just used the AI software-controlled machine, but this year they will introduce a human element in the hope of improving their record still further. “Our previous tests have shown that a machine working on its own will perform better than millions of humans. But a machine can’t take into consideration if a player is injured (and still plays), has low morale or has personal issues and may not perform at his best,” says Dr Ramchurn. “So this time we will be using humans and the machine working together as a team so that the humans can add this subtle information into the system and, together with the software’s extensive analysis, it will hopefully improve the machine’s success rate, though in some cases, this could also potentially make it perform worse if humans put in inaccurate information,” he adds. The team are currently working on a web application that will allow next season’s players to get advice from the artificial manager and to play against it.